This page is for Sesshomaru's Bio. Sesshomaru is Inuyasha's half brother. Sesshomaru hates Inuyasha because of 3 reasons: 1. Inuyasha's half breed, 2. He fell in love with a human, and 3. because he got bounded to a tree by his supposed lover and couldn't help protect their father. 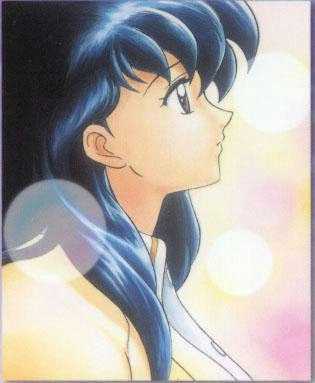 Sesshomaru is fascinated by Kagome because of all she has done. She pulled out Tetsaiga, when he finally got to use Tetsaiga she hit it with one of her arrows and Tetsaiga went back to a regular sword, and her ability to find the jewel shards. Sesshomaru after being severely injured by the tetsaiga meets an orphan girl Rin who changes him for the better. So, in reality Sesshomaru's not really a bad guy at all.